RUSH: We do have a couple of Trump sound bites coming up from the joint presser with the Brazilian president. Trump said that we’re in the twilight of socialism. And yet all these young Millennials think that capitalism has failed them. Why is that? Any Millennial who wants a job can get one, obviously. What is it that makes them think capitalism has failed them? I tell you what I think one thing is: student loan debt. I think the student loan situation is crushing people. They are going into debt to get degrees, many of them worthless degrees. They’re going into debt getting degrees that they’ve been told they have to get. College is mandatory, gotta do it, can’t do without it, gotta get it done, gotta go, everybody says, public pressure, peer pressure, you gotta go to college. It’s so important, it’s so mandatory that they take out loans, they borrow more money than ever dreamed they would borrow because they’ve gotta go, they’ve gotta go, they’ve gotta go, everybody says you gotta go to college, parents, peers, everybody. Tech people telling you you gotta go to college. So they incur all this debt. They come out with four-year degrees, many of their degrees are worthless, and they’ve got this mountain of debt. And who are they gonna blame that on? They’re gonna blame it on the American economic system. “This is so unfair.” So you might be able to make the case that they could blame capitalism if they associate capitalism with the student loan program. Aside from that, it’s a massive disconnect in education. THE PRESIDENT: I have many, many millions of followers on Twitter and it’s different than it used to be. Things are happening, names are taken off, people aren’t getting through. You’ve heard the same complaints, and it seems to be if they’re conservative, if they’re Republicans, if they’re in a certain group, there’s discrimination and big discrimination. I see it absolutely on Twitter and Facebook. Something’s happening with those groups of folks that are running Facebook and Google and Twitter, and I do think we have to get to the bottom of it. RUSH: Yeah. I’ll tell you, you know what this is tied to? In a recent Supreme Court case, Justice Clarence Thomas lamented that it is too difficult for public figures to sue for libel and slander in the United States. It’s because of the case Sullivan v. New York Times or New York Times v. Sullivan. And it basically is the case that holds if you’re a public figure, screw you. They can say anything they want about you and you have no recourse, because given that you’re a public figure, you already have a platform or platforms that you can use to reply. 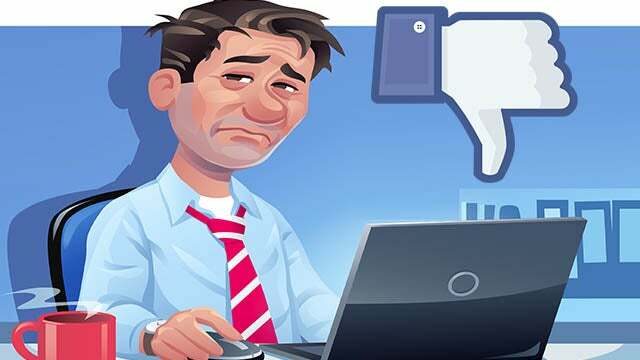 So public figures in the United States cannot seek damages when they are slandered or libeled. And Clarence Thomas thinks this case needs to be overturned or revisited, I should more properly say. And I think that Devin Nunes’ lawsuit against Twitter is the first step in trying to get that case, Sullivan v. New York Times, or a version of it, back before the Supreme Court. Because what Trump described — let me describe it a little bit better. Trump has how many followers on Twitter? Does anybody know off the top of your head, it’s millions, right? You would figure if Trump tweets something out that, of that millions and millions, a significantly large number of them would retweet it, would they not? Okay. So Trump tweets out a video or anything, he’s got millions of followers, then you look and you see 11,000 retweets? Sorry, folks. That’s not mathematically possible. Somebody who has millions and millions and millions of followers tweets something out and only 11,000 retweet it? That’s one of the things Trump is talking about here, the shadow banning. Trump is being shadow banned. Trump is being limited, as are a lot of conservatives on Twitter and Facebook and all the Facebook apps. There’s Messenger, there’s Instagram. Facebook controls a lot of these things, and there’s no question that there’s censorship. 25.4 million followers and a video he tweets gets 11,000 retweets? That’s not possible. There ought to be millions of retweets. Trump is perhaps one of the most popular Twitter users ever, and they’re doing everything they can to limit Trump’s popularity and reach. But they are private concerns. It’s their business. They can run it however they want. And entreaties to them to be fair are gonna be met with deaf ears because they are also leftist activities as well. Here’s one more Trump bite as he continues with his thoughts on censorship that’s occurring and collusion that’s occurring on social media. THE PRESIDENT: You know, the incredible thing is that we can win an election and we have such a stacked deck, and that includes networks, frankly. You look at the networks. You look at the news and you look at the newscasts. I call it fake news. I’m very proud to hear the president use the term fake news. But you look at what’s happening with the networks. You look at what’s happening with different shows and it’s hard to believe we win, but I’ll tell you what it really shows, the people are smart. The people get it. They’ll go through all of that, whatever it is they’re fed, and in the end they pull the right lever. RUSH: It is kind of amazing, just with the odds as stacked against Trump and Republicans as they are, that victory still happens. Did you hear what happened to Roy Blunt in Missouri? 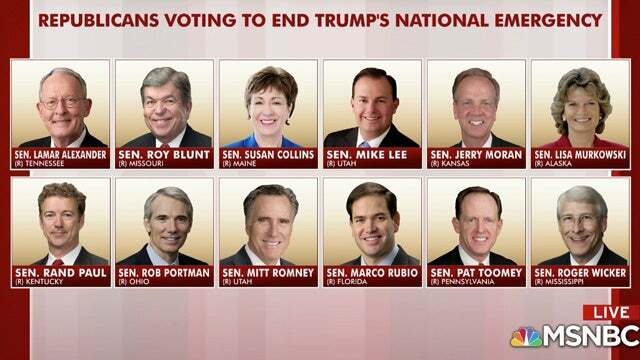 Roy Blunt, a Republican from Missouri Senator, voted for the resolution condemning Trump’s declaration of a national emergency. He was one of the 12 Republican senators essentially voting against Trump. He was disinvited in his hometown from speaking at a big-time Republican fundraising event after that vote, in his hometown. It’s not far from Springfield.